For the first time, fans of George Harrison will be able to lay their hands on a collection that spans his entire solo career. Let It Roll: Songs By George Harrison will be released on June 16. The tracks have been digitally remastered and the CD, a 19 song deluxe package that includes an extensive booklet containing rare and unseen photos. For those who prefer to go the digital route, the collection will also be available via all of the major digital outlets. Of course all of the favorites are included. The disc features three of Harrison's legendary Beatles tunes "Something," "While My Guitar Gently Weeps" and "Here Comes The Sun" all taken from the 1971 classic all-star Concert For Bangladesh. In addition to those three gems, his #1 singles "My Sweet Lord," "Isn't It A Pity," "Give Me Love (Give Me Peace On Earth)" and "Got My Mind Set On You" are also featured. It looks like a good collection. Personally, there are a few songs missing in my opinion. I would have liked to have seen "Crackerbox Palace," "I Dig Love" and "Cloud Nine" on the disc. But, that's just me. If they put everything everyone wanted in the collection, it'd be a box set! 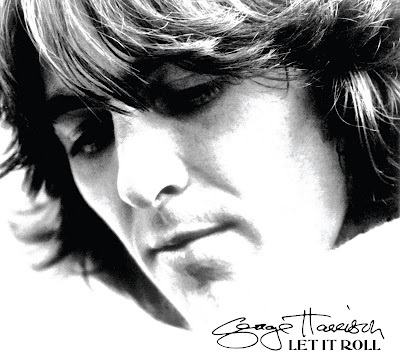 Listen to "While My Guitar Gently Weeps" and "Isn't It A Pity" from Let It Roll: Songs By George Harrison.